At around 8 month-old, your baby is likely to have started with solid food and maybe less breast milk or formula. 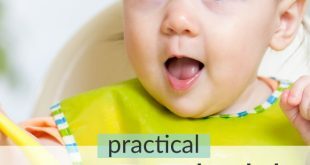 Here is a convenient baby feeding schedule for babies and toddlers. 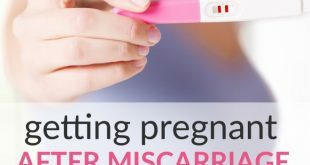 A miscarriage can be so hard to cope with. But at least you can try getting pregnant after a miscarriage a lot sooner than commonly recommended. Learn more here. How often a newborn baby can be expected to pee actually changes rapidly during their first week of living. And so does the expected color of the pee. Here's your guide to buying baby clothing gifts that are both useful and fun to have. 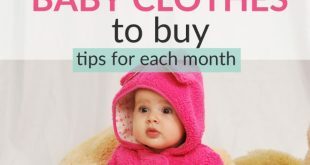 Learn what are the most useful baby clothes month by month. Ever wondered how often a baby should pee? 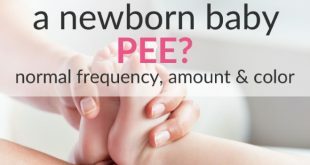 And how to know if a baby pees too much or too little? Here are rules of thumb for normal baby urine frequency. The list of breastfeeding benefits is long, both for you, mom, and your baby. How about reducing the risk of obesity, cancer, diabetes and more..! 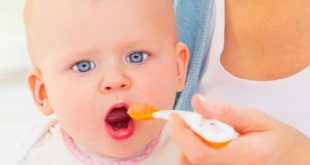 Starting with solid baby food is a big step for a small person. Find tips and tricks, recipes and guidelines to make it an easy step. Know someone who needs a little help with Valentine's Day, Mother's Day (or Father's Day) gifts? 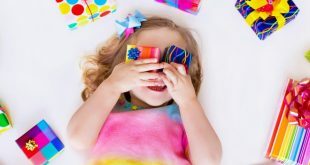 These tips on gifts that kids can make may be useful!